(FILE) Illinois Gov. Bruce Rauner. 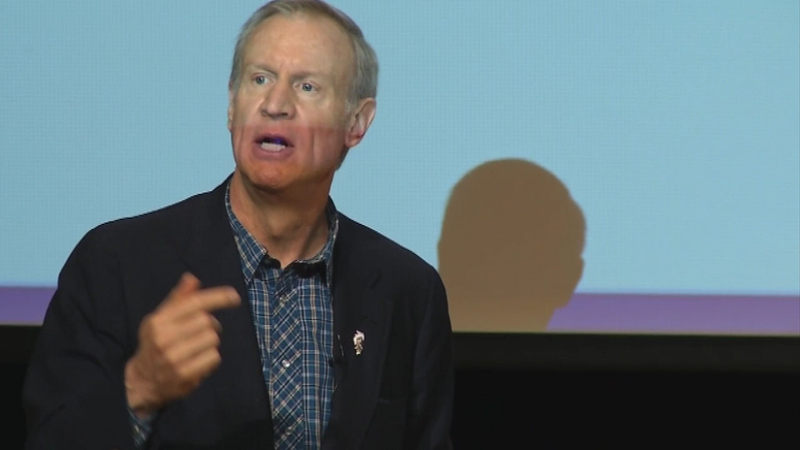 DECATUR, Ill. (WLS) -- Governor Bruce Rauner says one of his priorities for his first year in office will be creating so-called "right to work" zones. "Communities that want unions can choose that," he said. "Communities that don't want that and they want to compete they can choose that. I believe in local voters being able to decide these issues." Rauner told students at a Decatur college that the zones would increase jobs. A spokesperson for AFSCME says, "What the governor unveiled today is just a new name for an old failed policy. Without a strong voice at work, workers have lower wages, less access to healthcare, greater inequality, and fewer protections on the job."